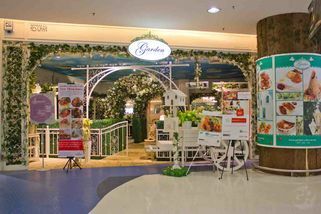 Gardens Lifestyle Store and café is a pleasant place to host small wedding receptions, parties and business meetings. It offers a comfortable casual dining experience, despite from their semi fine-dining Western and Asian delicacies. Select from their wide range of Western cuisines like Grand Pa Carbonara, Own Style Aglio Olio, Seafood Risotto Rice, Humpy Salmon Turn Orange, Seared Rib Eye, and New Zealand Lam Rack. Alternatively, choose from their Asian kitchen’s favourites like Garden Fried Keow Teow, Chicken Noodle Soup, Garden Chicken Satay, Salted Egg Fried Rice and One Malaysia Curry Laksa, to name a few. Those who can’t get away with desserts after main courses, you may try on their famous Bread Pudding, Vanilla Crème Brulee, Crepes with Banana or Strawberry and Japanese Pudding. 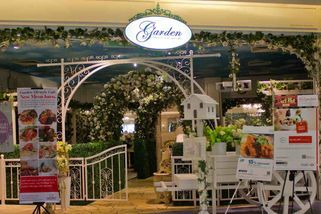 As the name implies, Garden Lifestyle offers a lovely spot for lovebirds out there for a romantic lunch or dinner with a selection from their love menu. Favourites like Chicken Loves Seabass, Rib Eye Loves Chicken and Salmon Loves Chicken are a combination of two meals in a plat, great for sharing between two hearts. Nonetheless, from their bright hedges, white fences and outdoor seats all around, to the fresh smells of flowers and soothing melodious rhythm from piano, enjoy their delightful Western and Asian cuisines, all in a ‘real’ garden. "Sizzling Chicken Chop RM 19.90. It ..."
Went here twice and for both the visits, really disappointed. Service was slow (maybe because seeing me as a student, they tend to serve people who came later than me first D:).